What if Nicol Bolas was Bant. I challenge you to do just that. Make a version of a card as a different color. You must change color (I'd prefer if you make them as different, but similar to the original). 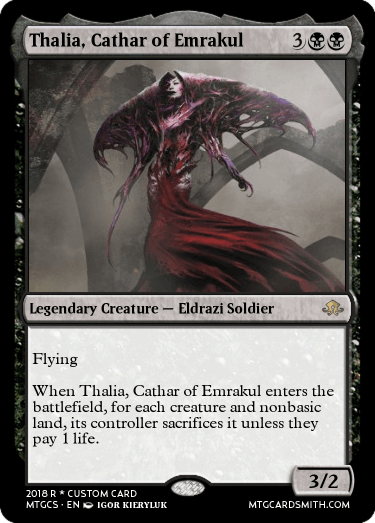 You should change name, colors its mana cost but not the converted mana cost (Don't add X), creature type, rules text, and flavor text (but only slightly). The rules text and name should be as close to the original concept as possible. For my example, Indestructible is a white thing and deathtouch is a black thing. Sunmare triggers off of gaining of life and my card triggers off of loss of life. 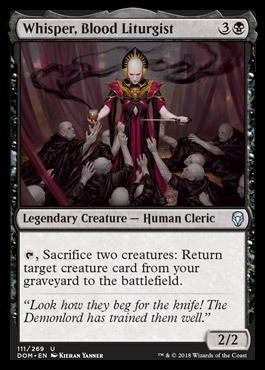 They are both five mana (the colorless is the same, but the white is now black), five power, and five toughness. 1st will be favorited, I'll follow the cardsmith, and I favorite a card of their choice. 2nd will be favorited and I'll follow the cardsmith. Wow. I just realized that I already did one of these not for this contest! What a coincidence! The colors aren't completely different, but it should be fine. It sort of works. 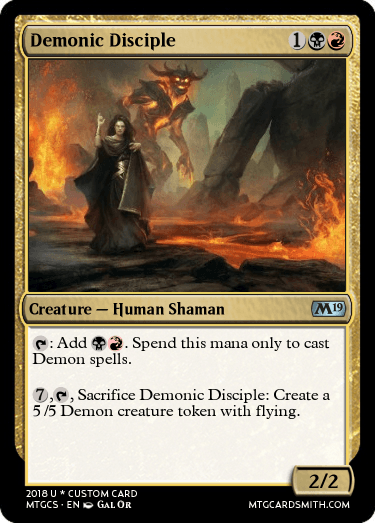 Green and Black are opposite, but disciple makes RED DRAGONS so a card named angelic disciple in BW that created angels off of loss of life would make more sense. This is why I didn't really want multicolor cards because you have to find opposites for both colors, which is hard. @Fallen_Lord Vulganos, you only need to swap out a few words like Tomigon. @TheEnderDragon Fine, scratch that entry. Trying to help people out. 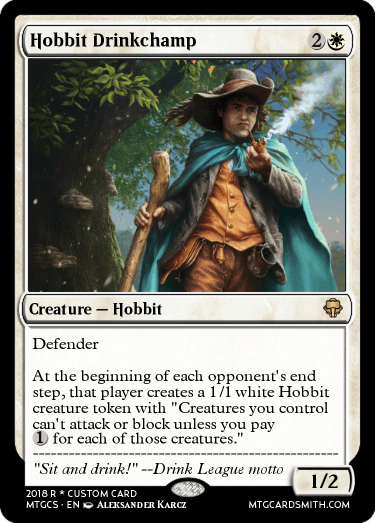 @TheEnderDragon - But the creature depicted in the artwork is a hobbit and no other. The card is written in general MTG language, surely the name and the creature type wouldn't be as much trouble as broken abilities? I also thought a hobbit would be a good opposite version of a goblin. Both are short creatures but have certain, obvious differences in appearances and cultures.